After carrying around over 50 pound of camera equipment on my back while traveling, I now have neck and back problems. Learn from me and get a backpack with wheels! 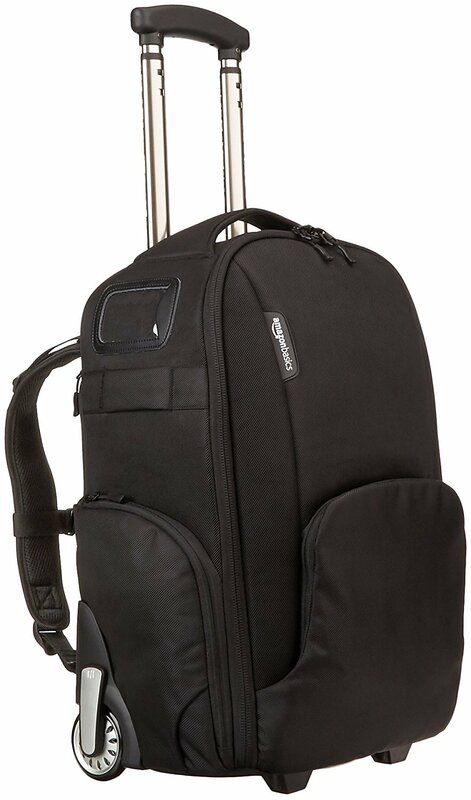 This amazing camera backpack organizes and protects all your electronics and saves your back because it rolls with the option to put on backpack straps.